HI everyone! Today I would like to share with you my healthy haircare routine! In December, I had a very disastrous highlighting experience. The lady that highlighted my hair left the developer on too long and my hair was fried!!! It was horrible!!! I tried everything to repair my hair but nothing worked until I discovered these products as well as visiting a new salon that uses Olaplex. When I sat down in the chair at the new salon, I told the beautician about my previous experience and I won’t forget the look on her face when she felt my hair and said ” This is the worst highlight job I’ve ever seen!” She gave me fresh highlights using the olaplaex system and gave me a conditioning treatment. It wasn’t a cheap date but she saved my hair!!!!! My hair actually felt like hair again and not rope! The picture below was taken at the salon after my appointment. I love my new hair and want to share my favorite products with you!! After my experience I feel as if I have some very knowledgeable information on how to keep your hair healthy and I would love to share it with you!! For those of you who live in the Erie area, I got my hair done at https://beautybareriepa.com. If you love your hair and want to keep it healthy, I highly recommend checking them out!! Take a look inside my shower!! 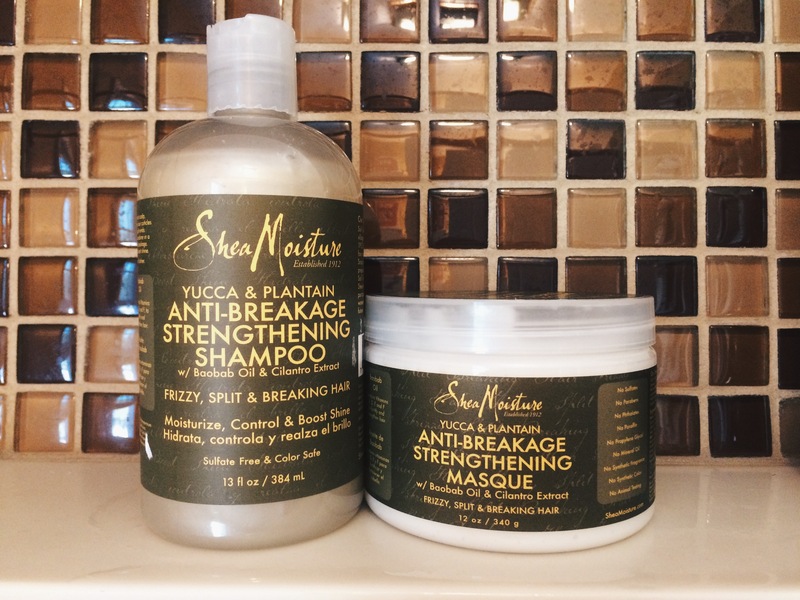 For shampoo and conditioner I use these two products to keep my hair soft and moisturized. First of all, I only wash my hair 2 times a week. I find that this helps retain the moisture in my hair and gives my scalp time to produce healthy and beneficial oils to help maintain my hair. When looking for a shampoo, try to find one that is sulfate free. Sulfates are very drying and stripping of the cuticle of your hair. Sulfates create the lather in your shampoo but try as hard as you can to get away from sulfates. So here is the shampoo I am currently using. 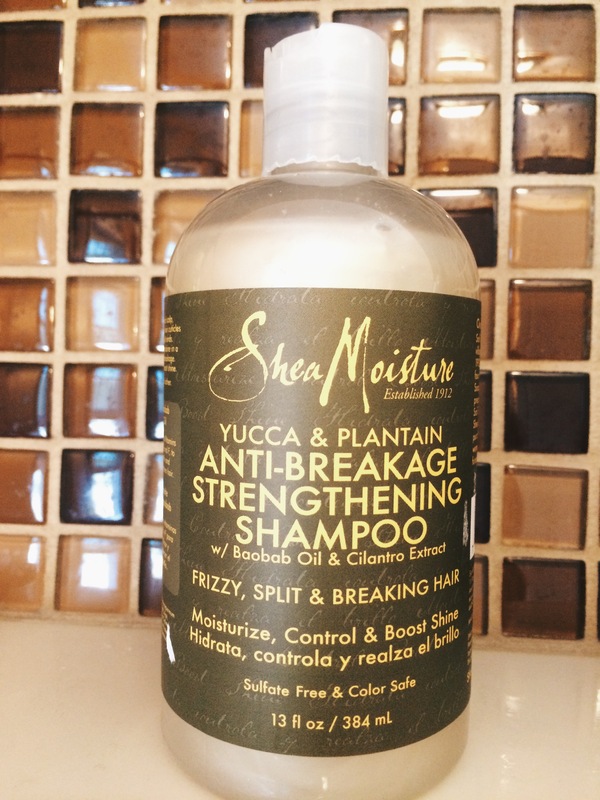 It is from Shea Moisture and you already know it is sulfate free. I really like that it is for frizzy, split and breaking hair cause as a blonde, that is the daily struggle. I have no complaints about this shampoo and I have actually seen an improvement in my hair since is started using it. 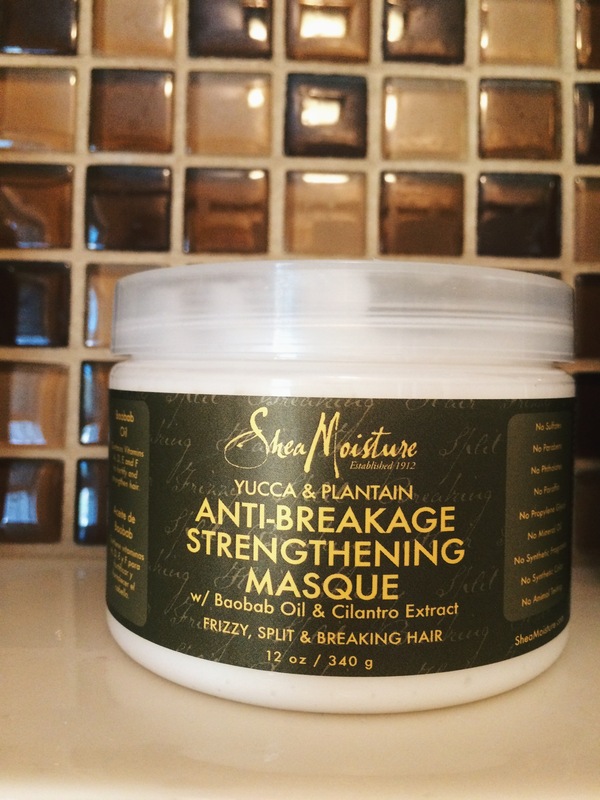 In conjunction with the shampoo, I use this masque from Shea Moisture. Since I only wash my hair two times a week, I find my hair allows me to use this mask instead of conditioner. You might be thinking that using a mask every time you wash your hair can weigh down your hair or make it greasy. But actually, my hair needs this extra love and moisture because of how damaged it was. It is all about trying new products and finding what works for you! Don’t be afraid to experiment with new conditioners and treatments. I found this one and found it works great for me! 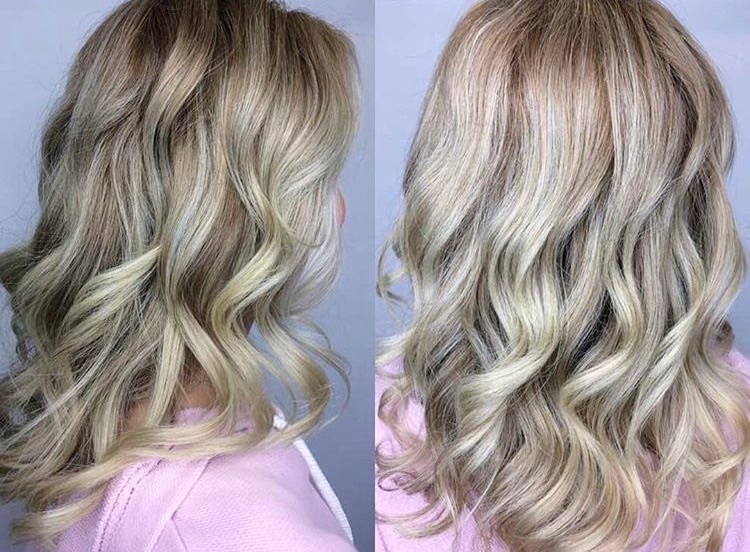 If you are a blonde, you know it is important to use a purple shampoo every once in a while to neutralize brassiness to keep your locks the color you want them. I always switch up the purple shampoo that I use but this is the only I am currently loving! it is sulfate free and smells really good! Check it it if you need to kick some brass!! 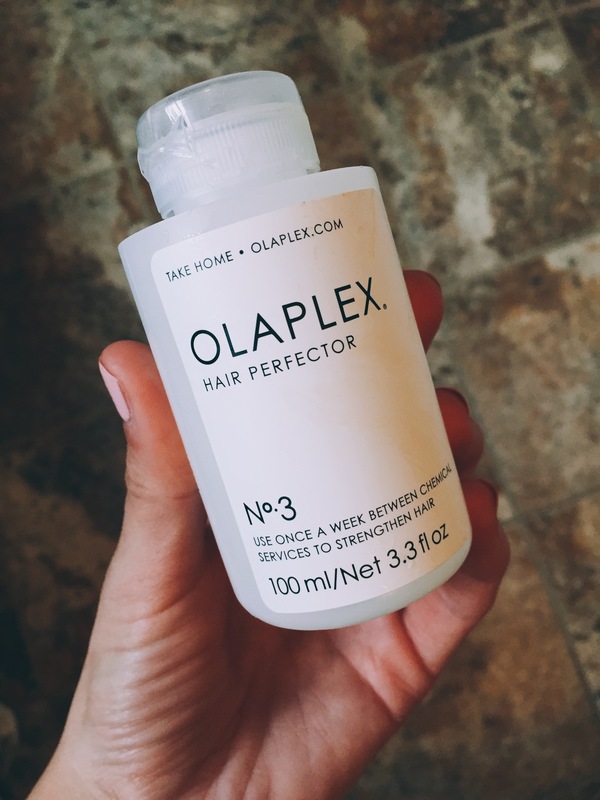 Whenever my hair is feeling extra dry and in need of some TLC I will use the Olaplex No. 3. This is the at home treatment and will cost you around $30. I got mine from their website and I cannot lie, it actually repairs your hair. I use mine overnight to get the most out if it! 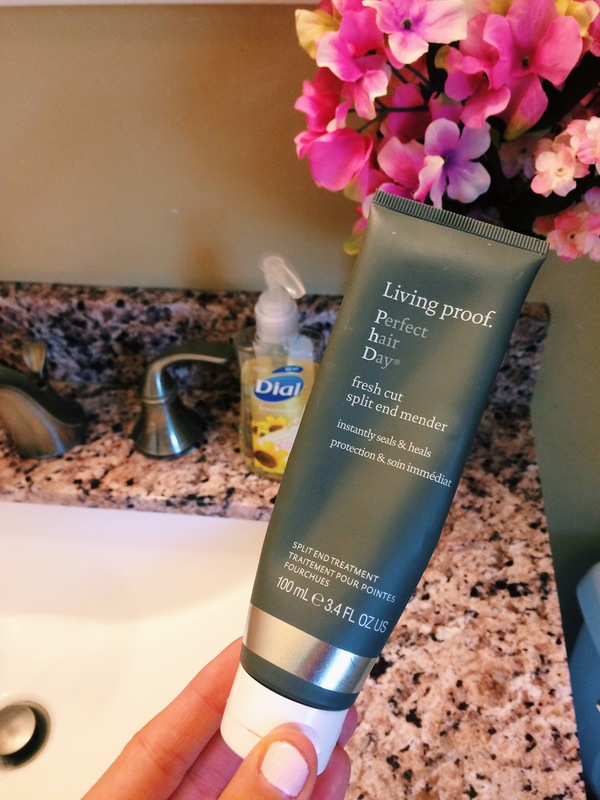 After I wash my hair, I follow up with this Living Proof Split End Mender. Although you actually cannot mend your hair after it has split at the end, this product does help to keep the ends of your hair looking healthy. OMG! Everyone needs to try this!! 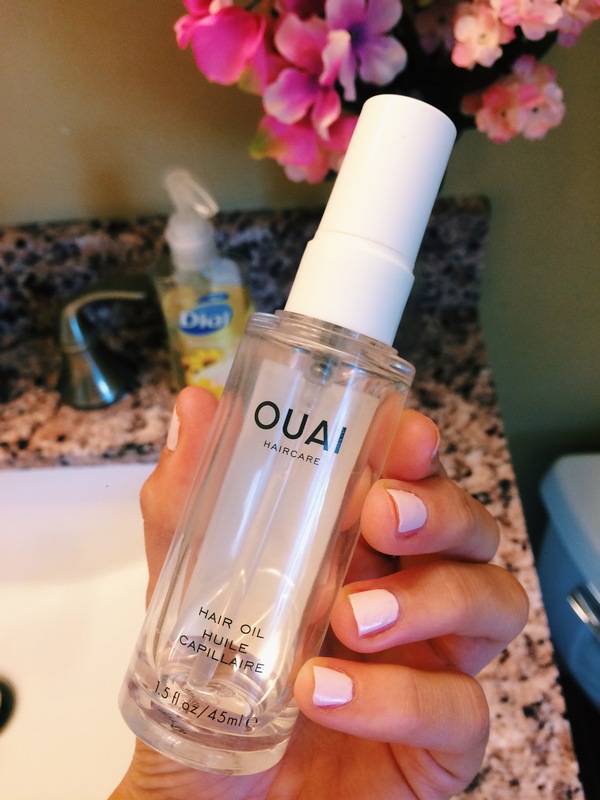 This oil by OUAI makes your hair so soft and silky and smells like fresh cut flowers. You need to try this out! It helps with frizzy hair and makes you want to keep running your fingers through your hair. Finally we made it to the end! This is my final product in my haircare routine. 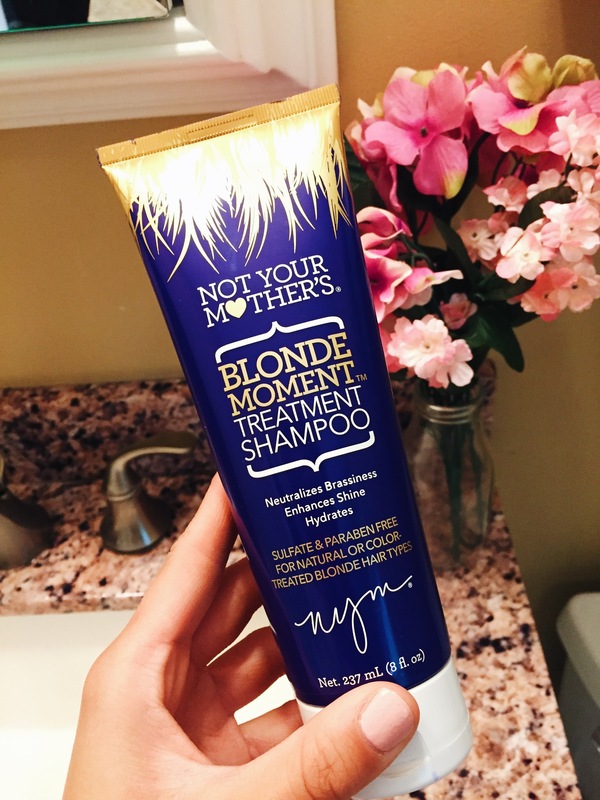 Because I only wash my hair 2 times a week, dry shampoo is very important to me!! 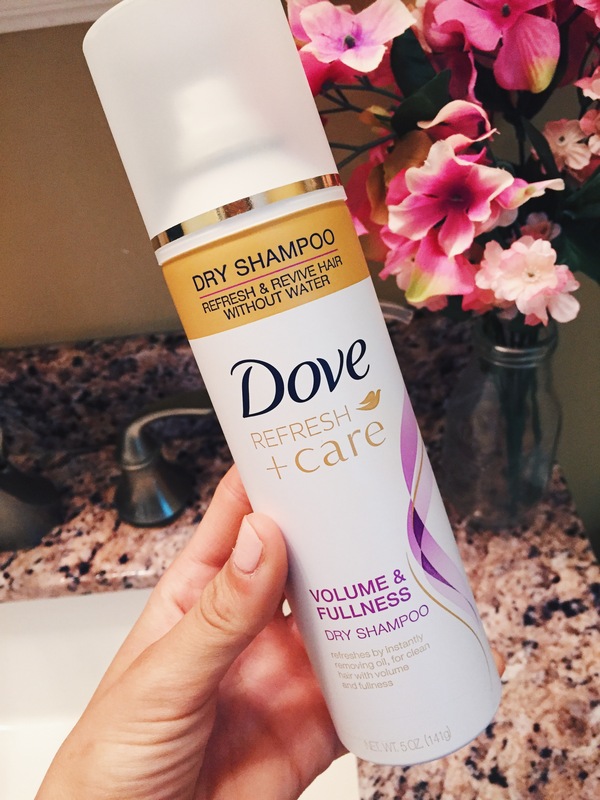 I have probably tried every dry shampoo out there and this one from Dove is by far the best. I spray it in my roots throughout the week to soak up oils and to give my hair some extra volume!